The last thing you want is to drive organic traffic, pull in leads, and get fired. It’s a story that SEO firms are far too familiar with. The relationship started off promising. Your client was nice, perhaps a little overzealous, but nice. And you know you’re good at your job, so no qualms there. But the client seemed to want reassurance at every step of the onboarding process that hiring you was the right decision. So, like any good salesperson, you talked them through their concerns and described in visceral detail the success that other businesses have experienced by working with you. In the end, you convinced them. But, evidently, it wasn’t the end. After a while of working together and delivering SEO reports on traffic generation and keyword ranking wins, the client became increasingly on-edge. If you answered those questions, the relationship probably lived on. But, if you’re like many SEO firms, you stood there, unsure of what to say. And if you stood there, unsure of what to say, you got canned. So how can you avoid that same demise in the future? How can you deliver reports that are more meaningful than the traditional SEO reports? And how can you ensure that clients fully understand the depth of your effectiveness? To answer that, let’s first take a look at the real reason that clients fire even the most effective SEO firms. You know it. I know it. Every marketer on the planet knows it. Even your client knows it. But you know what your client doesn’t know? All of the subtle but absolutely critical nuances of SEO best practices. In other words, they think they know what SEO requires and how it benefits them, but they really don’t. They probably don’t totally understand, for instance, that ranking for the right keywords is far more important than just ranking. They also don’t know that traffic-generation will almost always mean an increase in conversions. Here’s what they do know: they want more money. That’s it. They don’t fully understand how SEO will increase their revenue but they think that it might, so they’ve hired you. 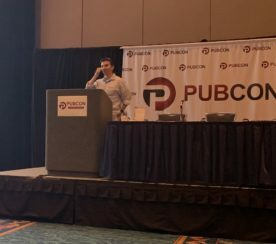 The moment that they feel unsure about the effectiveness of your SEO strategy on their revenue — regardless of its impact — they’re going to fire you. Not because they don’t like you — well, maybe — but because they don’t understand what you do. Let’s look at an SEO report from the perspective of your client. Here’s what would traditionally be on the report. OK. Imagine you’re running a business. There is only one thing you care about: making more money than you spend. But what does this SEO report show? It shows the rankings that your SEO experts have helped you attain. It shows the traffic they’ve generated for you. Sweet! It even shows some more detailed search engine information. For the SEO firm, this is a home run. Rankings look good. Traffic looks good. And targeted keywords look good. But what does the client see? Absolutely nothing. She might appreciate the rise in traffic and the helpful rankings, but if all of this information isn’t connected to revenue, then hasta la vista SEO firm. Do not pass “Go.” Do not collect any money. Here’s what you know that your client frequently forgets. 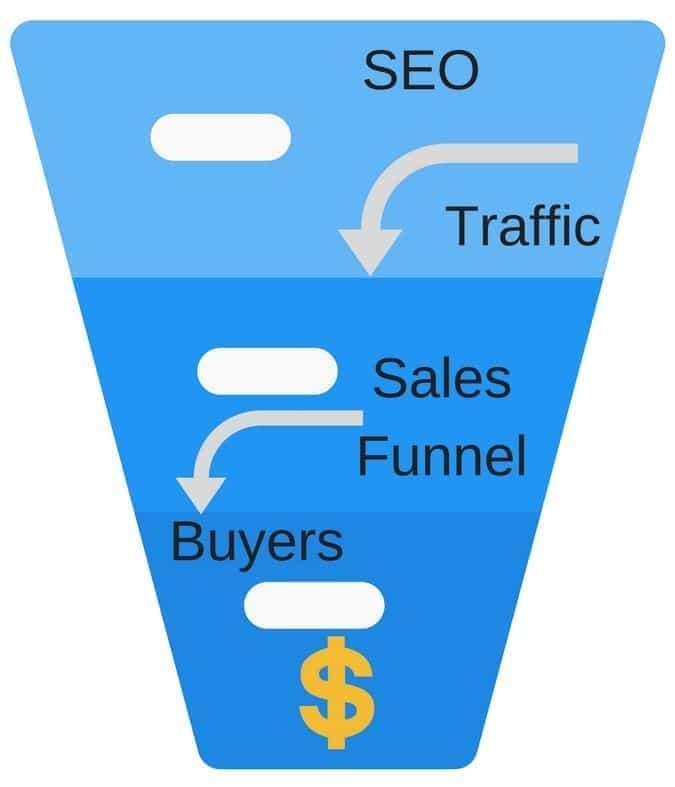 SEO is a top-of-the-funnel marketing strategy. It’s your job to provide traffic for the sales and marketing team to convert into dedicated customers. And as an SEO expert, that’s your only job. Sadly, that answer won’t cut it for the client who is only concerned about cold hard cash. After all, your goal is to drive them as much traffic, leads, and revenue as your SEO expertise can muster. In other words, you and the client want the same thing. Your client just doesn’t see the benefits and intricacies of SEO as clearly as you do. And since they don’t, the moment that they start to feel like SEO metrics aren’t directly impacting revenue, they’re going to fire you. That’s the hard truth you need to swallow. The sooner, the better. Look, I understand that turning SEO metrics into tangible results can be a serious challenge. The third-highest challenge that B2B marketers face is measuring the effectiveness of their content. 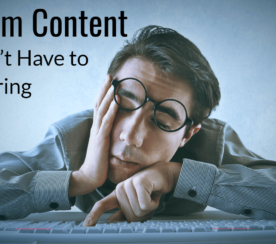 Anyone can produce content on their website. Write a blog post, record a video, or design an infographic. But measuring the effectiveness of those efforts is another challenge entirely. You need to ask yourself: what is your end goal? Here’s what shouldn’t be your answer: to drive traffic to the website. That’s a great goal to have but, as an SEO expert, your strategy needs to go deeper than that. Not just for your own sake, but for your client’s sake. They want to understand how your SEO strategy is benefiting their business. Which means that you need to add depth to your data. By moving from SEO metrics to marketing and sales metrics. OK, so you understand that SEO metrics are too indiscriminate for your client. They don’t show the whole picture and, for that reason, they threaten your job. But what do I mean when I talk about SEO metrics? I’m talking about all of the metrics that are directly driven by SEO. But also domain authority and certain keyword phrase ranking positions. Now, let me be clear. I’m not saying that these metrics are useless. I’m not saying that these metrics should be completely ignored for some holier grail of data. I’m simply saying that your clients don’t care about these metrics. Clients care about revenue, plain and simple. If your SEO strategy is increasing revenue, they’ll keep you around. If it’s not or you can’t prove that it is, they’ll ditch you. These SEO metrics are great for internal use. They quickly illustrate to your team how effective your strategy is and whether your keyword focus is working. Here’s what the metrics don’t tell you and why they’re a problem for your client. 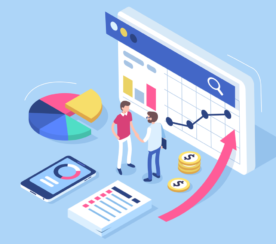 SEO metrics don’t connect all of those #1 rankings and generated traffic to new opportunities, deals, and revenue. Meanwhile, you’re sitting in the background, increasing rankings and generating traffic with no way to prove your value. Which is exactly why you need to stop depending on SEO metrics and start depending on marketing metrics. Compare SEO metrics with marketing metrics. Show your client marketing data, and they’ll be able to grasp onto tangible results from your marketing efforts. SEO metrics don’t have the same effect. Search engine optimization lives at the top of the marketing funnel where everything is vague. But marketing and sales live near the bottom where traffic becomes leads and leads become customers. To answer that question, you need to focus on marketing and sales metrics instead of SEO metrics. SEO metrics are great for internal use, but marketing and sales metrics are the numbers that your client wants to see. Like I’ve mentioned, transferring all of that SEO success into revenue numbers is no easy task. Well, the first thing you’ll need is a champion… the right champion. Everything’s easier to navigate when you have a best friend by your side. And when it comes to your client’s company, it’s crucial that you befriend someone on the inside. A best friend in high places. That person is the company’s VP of Sales. Of course, this is about more than making sure this person enjoys your company and always laughs at your jokes. Your client’s VP of Sales should, in many ways, be a part of your SEO team. It’s your job to get the VP excited about your SEO efforts. Just by meeting up and explaining all the amazing things your firm is up to, you can make this person as supportive of your firm’s work as you are. Think of the VP of Sales as a translator. You speak SEO. Your client speaks revenue. And the VP can speak both. Which means your VP can have a clear picture of how top-of-the-funnel SEO efforts are moving the needle for your client. She can provide meaningful reports for the client and ensure that they understand the impact that SEO is having for their bottom line. 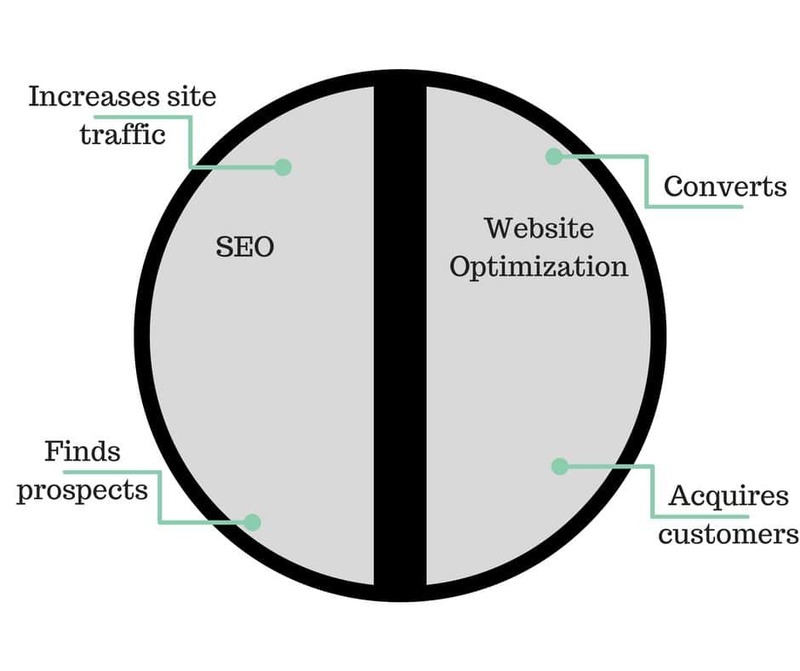 Because, in the end, SEO and every other marketing strategy are just two different sides of the same coin. Take SEO and website optimization as an example. SEO increases traffic and does what it can to attract the right people to the website. Website optimization works to increase conversions and acquire customers. To argue that SEO is worthless is just as stupid as saying that optimizing your website is worthless. But imagine that someone told you they were optimizing your website correctly but had no tangible proof of their claim? That wouldn’t be very convincing. Often, SEO firms die at the hands of a similar scenario. They are helpful, but they can’t prove it to the client, and so the client fires them. To solve that, your VP of sales should be ready to provide data that builds the connection between your SEO strategy and the client’s revenue goals. Because sales data is far more interesting and compelling than SEO data. But how do you get all of that information into one place so that you can interpret it and draw meaningful conclusions? For that, you’ll need a data dashboard. Too often, all the data you have is separate. SEO metrics are funneled into one place, marketing metrics are funneled into another, and sales metrics yet another. The problem with this is that heavily-divided data works wonders at explaining absolutely nothing in regards to the effectiveness of your SEO strategy. If you have SEO metrics in one place and sales metrics in a different place, you can’t possibly draw correlations between how one is impacting the other — even though it surely is. And that impact is exactly what your client wants to see. They don’t want to see SEO metrics alone or even sales metrics alone. They want to see the correlation between your marketing efforts and their revenue goals. How are you impacting their business? That’s the question you need to answer. But you can only do that if all of your data is organized into a single location. To do that, you can use a service that organizes all of that data for you, or you can streamline it yourself. This will allow you to draw correlations between opportunities created and organic traffic (or any other metrics you choose). Whatever the case, how you decide to get all of your data into one place and then analyze that data matters less than doing it. With organized data, you’ll be prepared to show your client exactly how your marketing efforts are benefiting them. Meaning no more awkward meetings and no more getting fired for a stupid reason. You might be helping your client, but if they can’t see that, they have no reason to believe you. Prove it to them by using a dashboard to organize all of your data. Usually, SEO firms don’t get fired because they’re not doing their job. They don’t get fired because they’re unsuccessful in generating traffic, climbing through the rankings, or increasing domain authority. 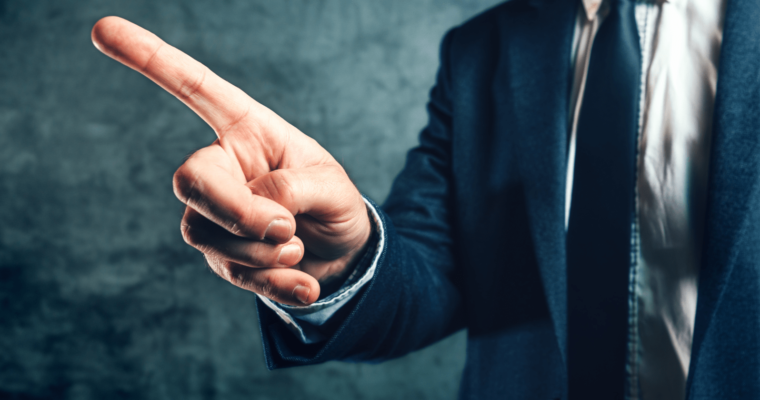 Usually, they get fired for one reason and one reason only: the client didn’t understand what they did, why they did it, and, most importantly, how it impacted the bottom line. Your client cares about one thing: revenue. Your only job is to prove to your client that you’re increasing revenue for them. To do so, you need to shift your reports from SEO metrics to marketing and sales metrics, make the VP of sales your SEO reports champion, and build out a seamless dashboard to work with. You might think that your client should just better understand what it is you do. But you’d be wrong. It’s not their job. It’s your job to convince them that your SEO efforts are valuable. Do this, and they won’t only keep you around, they’ll give you a reference, increase your budget, and maybe even be your next favorite client to work with. Screenshots by Garrett Mehrguth. Taken November 2017.